UCLA and USC will meet at the Rose Bowl Saturday with the 13 combined losses between the teams the most entering any Bruin-Trojan football game. UCLA (2-8, 2-5 Pac-12 Conference) has its fewest victories entering the USC game since 1971. In their first season under coach Chip Kelly, the Bruins lost their first five games, won their next two and have lost their last three. A victory over its crosstown rival “would pay great dividends” to UCLA, Kelly said on the conference’s weekly teleconference with reporters. “Five or six plays in the Cal game and the Arizona State game that they go different you’re looking at a different season and be contending for the Pac-12 South (championship) in this game,” Helton said. USC needs a victory over UCLA or next Saturday against undefeated Notre Dame in its regular-season finale to be bowl eligible. The Trojans have played in a bowl game every season since 2001 except for 2010 and 2011 when they were banned from bowls because of an NCAA penalty. USC leads the series, 47-31-7, not including victories in 2004 and 2005 that were vacated due to NCAA penalties. The Trojans were 28-23 winners last season, their third consecutive victory over the Bruins. UCLA has won four times in the last 19 meetings dating to 1999. Both teams will wear their home jerseys, a tradition that began in 1949, was interrupted twice and revived in 2008 and continued continuously since then with the exception of 2011. USC will wear its cardinal jerseys and the Bruins blue. The winning team will be awarded the Victory Bell, a 295-pound bell originally hung atop a Southern Pacific freight locomotive. The bell was given to the UCLA Alumni Association in 1939. In 1941, it was taken by a group of USC students who hid it in a variety of locations for more than a year. Following an intervention by school administrators, the student body presidents of both schools signed an agreement in 1942 providing that the winner of the football game would keep possession for the next year, a tradition that has continued, along with painting the bell’s carriage in the school color of the winner. Tickets remain available, Liza David, UCLA’s assistant athletic director, athletic communications, told City News Service. UCLA does not project attendance figures, David said. 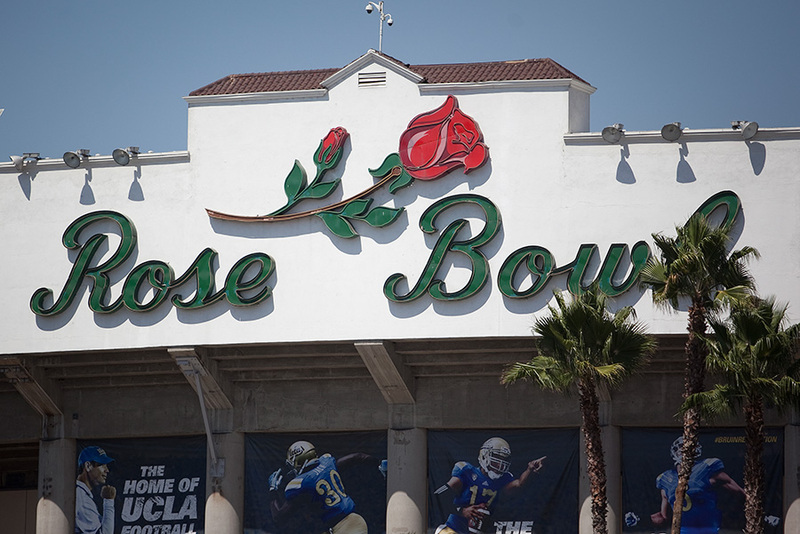 The Rose Bowl’s parking lots will open at 6:30 a.m. for the 12:30 p.m. game. The Fan Zone with a wide array of activities and photo opportunities opens at 8:15 a.m.
Rose Bowl gates open at 11 a.m. 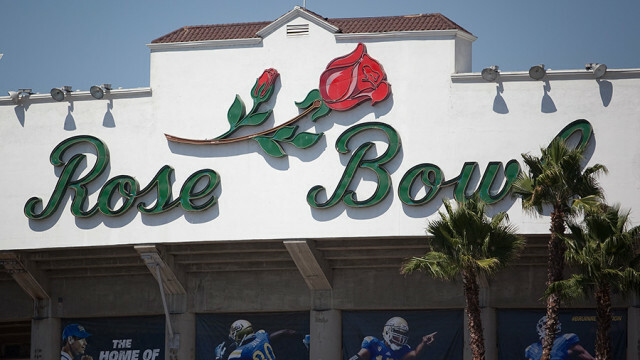 Fans are encouraged to enter the Rose Bowl early. Fans should be in their seats by noon to witness pregame festivities, which include a national anthem performance by the UCLA Marching Band and a U.S. Navy flyover. Halftime will feature performances by both school’s marching bands. During the course of the game fans will be encouraged to participate in the American Red Cross’ text-to-donate campaign in support of those affected by California’s wildfires. UCLA’s honorary captain will be John Sciarra, the Bruins starting quarterback in 1974 and 1975 who concluded his college career by being selected as the Player of the Game in UCLA’s 23-10 upset of top-ranked Ohio State in the 1976 Rose Bowl Game. Sciarra was inducted into the College Football Hall of Fame in 2014.